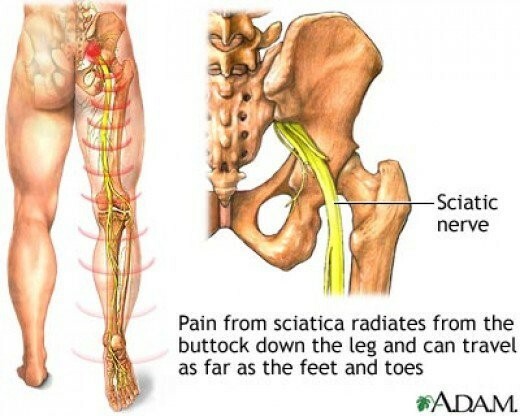 Sciatica is the name given to pain in the lower extremity caused by irritation of the Sciatic nerve. (Longest and widest nerve in the human body. It runs from the lower back, through the buttocks, and down the legs, ending just below the knee). 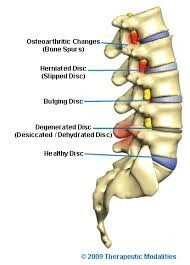 Age: Age-related changes in the spine, such as herniated disks and bone spurs, are the most common causes of sciatica. Obesity: Increasing the stress on your spine, excess body weight can trigger sciatica. Diabetes: This condition, which affects the way your body uses blood sugar, increases your risk of nerve damage. X-ray: Spine X ray may reveal an overgrowth of bone that may be pressing on a nerve. Antidepressants for chronic low back pain.